I have encountered yet another spoliation issue in a truck accident case where the defendant cannot produce their trucking log that was requested within six months of the incident. Federal regulations require commercial truck drivers to maintain their log for at least six months. Unlike New Jersey and California, Maryland has no independent tort for negligent or intentional spoliation of evidence. But you can get in Maryland a spoliation instruction stating that the destruction of evidence creates a presumption that is unfavorable to the spoliator. Obviously, in fairness to everyone, the best practice with respect to evidence in a case is to preserve all potential evidence until all legal proceedings have been concluded. The intentional or negligent destruction or spoliation of evidence threatens the integrity of our judicial system. As I have discussed previously on this blog, many truck drivers do not take these logs seriously. The practice of falsifying truck driver hours is an open secret in the trucking industry; truckers routinely refer to their driving logs as “comic books.” Fines are small and infrequent. The oversight from the Federal Motor Carrier Safety Administration is virtually nonexistent. The FMCSA does not have the staff to closely monitor 700,000 businesses and almost eight million trucks. I cannot find a Maryland case on truck log spoliation although I found good cases in Arkansas and Georgia. See Goff v. Harold Ives Trucking, Inc, 342 Ark. 143 (2000); J.B. Hunt Transp., Inc. v. Bentley, 427 S.E.2d 499 (1992). 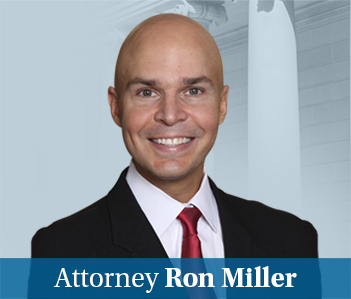 But Maryland follows the general rule that the destruction or alteration of evidence gives rise to inferences or presumptions unfavorable to the spoliator. Unexplained and intentional destruction of evidence by a litigant gives rise to an inference that the evidence would have been unfavorable to his cause. Maryland law does not require a showing of bad faith to support this inference. Anderson v. Litzenberg, 115 Md. App. 549, 561-562 (1997) (case involving an accident caused by a dump truck tarp coming lose; from the destruction of the tarp there was a rebuttable presumption that should lead to an inference that the tarp would have revealed evidence unfavorable to the defendant). See also Larsen v. Romeo, 254 Md. 220, 255 (1969). 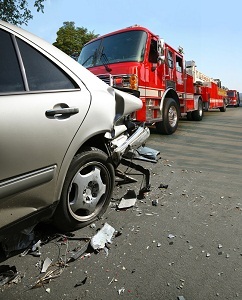 In traffic tort cases, it is important to pin down early in an investigation what evidence might be available that could be intentionally or inadvertently destroyed. In 2017, the Supreme Court refused to hear an appeal by the Owner-Operator Independent Drivers Association who filed a lawsuit to fight a federal safety mandate requiring millions of truck drivers to record their driving hours behind the wheel using electronic logging devices. The association tried to argue that this is tantamount to electronic surveillance which violated their privacy rights under our Constitution.